HP OpenView Network Node Manager used to be the industry standard network management tool. Net-SNMP is the standard SNMP stack used on most operating systems, such as Solaris. There is still a need to simulate the platform for migration of infrastructure. One common way to simulate the HP OpenView Network Node Manager environment is through the use of OpenView Events (ovevent) and Net-SNMP SNMP Traps (snmptrap) commands. The HP OpenView Node Down Event can be simulated through a guaranteed transport via the "ovevent" command. An SNMP V1 trap can be produced to closel simulate this Node Down event. Note, this is not the exact representation, nor is the delivery of the event guaranteed. An SNMP Trap Receiver must receive this. An SNMP V2c trap can be produced to closel simulate this Node Down event. Note, this is not the exact representation, nor is the delivery of the event guaranteed. An SNMP Trap Receiver must receive this. snmptest -v 2c -c $Community $NMS:162 \<\<\! Common events from HP OpenView Network Node Manager, the former "gold standard" in Network Management, can be simulated under stock Solaris 10 and Solaris 11 with simple available OS commands. There has been much discussion lately regarding the core of Desktop User Interfaces. Mark Shuttleworth has been guiding the Ubuntu Community to move toward Wayland. Long time X community contributor Allen Coopersmith had added some clarification of his own, regarding X11 long time stability and future viability. It is healthy to go through the discussion of display systems occasionally, for the newer programmer. The disucssion of desktop systems for UNIX is a re-occurring theme. This is in no way an exhaustive history, nor is it ment to be 100% accurate in comparing features of one system against another- not all desktops are created equal in capability or sophistication. Many of these systems relied upon X11, while others did not. Most UNIX systems used TTY for access on early systems. Terminals leveraged curses libraries for full screen usage. Various UNIX System V platforms built menuing systems upon the curses library through Form and Menu Language Interpreter or FMLI and enhanced the user experience through Framed Access Command Environment or FACE. Solaris started with SunView, moved to OpenWindows, used NeWS with Display Postscript, and evetually started down the course of converging to a 100% open-source X11 system. The windowing system was based upon olwm and appeared on AT&T UNIX as well as Solaris. There is a virtualized window manager based upon OpenWindows called OLVWM, which conforms to the OPEN LOOK standard, but Solaris had decided to abandon Open Look Window Manager or olwm in a later unification effort. As X Windows became more popular, some vendors of UNIX offered graphical augmented enhancements, such as NCR's XFMLI. Sun received an infusion of cash from AT&T and AT&T purchased NCR. The use of FMLI within AT&T was phenominal by it's user community and the use of XFMLI by NCR was used to modernize the desktop without the necessity to change the investment of FMLI from the System V code base. Solaris even added an FMLI interface to the Live Upgrade OS feature. Solaris started the process of abandoning FMLI and FACE, for enhanced terminal based user experience, in the mid 2000's, citing internationalization overhaul as a primary motivation. A group of vendors aligned against Sun and AT&T (who standardized on OPENLOOK) with an alternative GUI referred to as Motif. It was basically a copy of an IBM standard, which IBM followed for OS/2 and Microsoft copied with Window 3.1. There was an open-source version attempted called Open Motif. This was later abandoned with a later unification effort. Next's NextStep brought a new level of competition to Sun Solaris. A move was made to converge with OpenStep. An open-source version was attepted with GNUstep. Next was founded by former Apple CEO, Steve Jobs, and Next was re-purchased by Apple. The usage of PDF instead of Postscript was used at the heart of the environment. At this point, the NextStep & OpenStep environments were implemented in Apple hardware, from the desktop, to the server, laptop, notebook, and handheld environments. Vendors dug in their heels, in what is now sometimes referred to as the UNIX Wars. Eventually, concensus was derived between most vendors with the consolidation of OPEN LOOK and MOTIF to Common Desktop Environment or CDE. The tools from Sun's original SunView, which were ported to OPEN LOOK, were ported, using the look and feel of MOTIF. Solaris has since decided to abandon CDE in the mid 2000's. During the time of UNIX vendors were working towards a new standard desktop, some other desktops have been receiving activity. GNOME was a very important project. 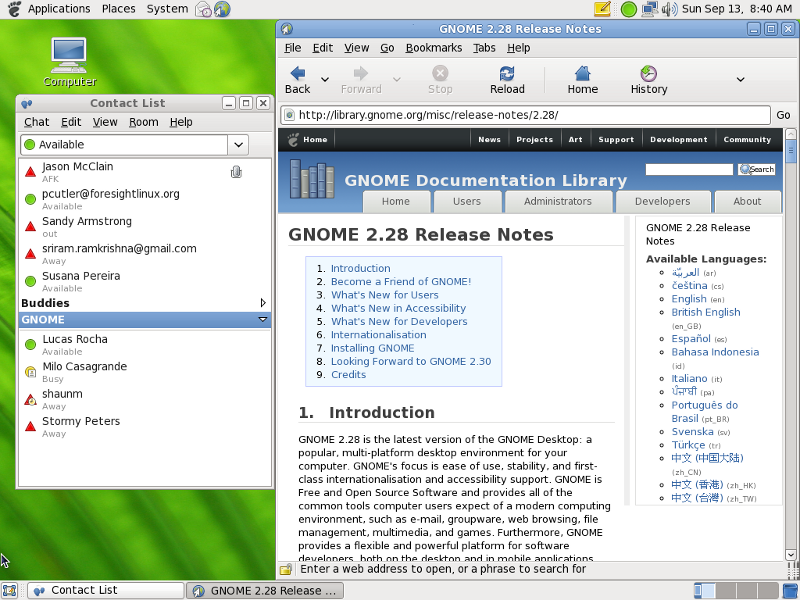 GNOME was adopted by various Linux vendors as a default desktop. Solaris adopted a varient of GNOME, called Java Desktop Environment as their standard going-forward environment in mid 2000's. There was another competing open source environment to GNOME called KDE. KDE was offered as a secondary option on various Linux vendor desktops. Solaris offered KDE as a freeware add-on. There was a very forward looking attempt at an open-source modern desktop environment written in Java by Sun called Project Looking Glass. The project seemed to die in mid 2000's, possibly from a threatened lawsuit by Apple. 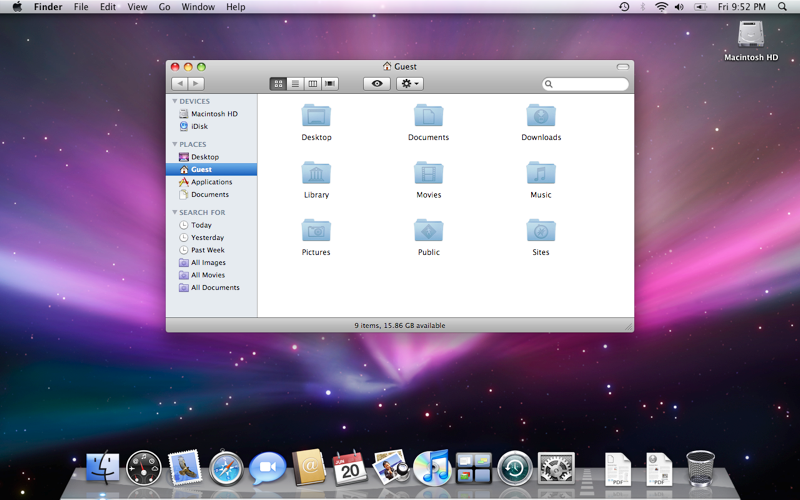 Many features later appeared in MacOSX. Other features were later copied into Windows 7. With so much of the Open Systems community based upon remote devices and servers, it seems incomprehensible that mechanisms to allow simple administration (via TTY, FMLI, XFMLI, and X11) to be replaced by multiple levels of complexity (web server, web browser, XML, AJAX, HTML#, CSS, etc.) HTML was basically a static-page serving system which had been hacked together to become more dynamic, but the efficiency is no where near TTY of X as far as overhead is concerned. This being said, there seems to be a drive in this community to move towards better user experience, on the desktop, at the expense of their core-constituency on the server and embedded devices. How much of Looking Glass could be reused? Wasn't there already a significant effort to build OpenStep that could be leveraged? How much of the GUI and Drivers associated with Darwin under MacOSX are OpenSource and could be leveraged? Since there is a popular and fairly well documented API [for desktops, mobile, and semi-mobile systems], one might think taking an older [OpenStep] code base [from, arguably, the most popular user-facing UNIX systems in the world], and making it an excellent option. Since Java runs everywhere and it is maintained by major corporations, as well as a fledgling open source project, Looking Glass would bring tremendous revoution to the Open Systems Desktop, and make it current with open source MacOSX as well as propriatery Windows 7. If this author were involved in the management of this project, a table of access methods would be built (TTY, X11, Display Postscript, PDF, HTTP/HTML, Direct Frame Buffer), table of raw features (line, circle, arc, font, cursor, box, etc. ), table of derived features (window, menu, window manager, table wiget, etc. ), and design a meta-languge that is both forwards & backwards compatible across the access methods. This does not mean that every more complex feature would be suppoted by a simpler access method, but at least there should be a correlary to most and a universal benefit to all communities. Resources could then be leveraged from the core-constuency of the Open Systems markets and everyone could take away a benefit to their perspective community & commercial company. By the way, I love X. The older X based applications were always fast, in comparison to modern toolkit based X applications. Applications built in X ran phenominally fast when ported [without the X protocol] to Microsoft Windows [in comparison to native MS developed GUI's.] Developers made a significant mistake by not concentrating on simplicity & speed when generating newer user experience environments. Every generation of desktop from SunView to OpenWindows, CDE, and GNOME became substantially heavier. Working with NextStep next to a SunView system made the Next platform much more appealing, from a performance perspective as a user. The lack of decent TTY based GUI interfaces extended to X Windows by Open Vendors created a problem of system administration of servers, routers, firewalls, storage servers, network switches, wireless access points, kiosks, cash registers, etc. These platforms are the core-constituency of the Open Systems world. All of the vendors need to create proprietary menuing systems because of these holes, while they could be spending more time on developing Open Systems instead of this code which should be written once. Companies like Sun, AT&T, Next, and Apple capitalized on simplifying the user interface [SunView, OpenLook, NextStep, Aqua] in the UNIX world. Newer graphics cards and CPU instruction set enhancements should be make our lives EASIER by removing code, instead of adding code, from the supportable code-base. The fact that people are considering re-writing the entire stack of code from the ground-up to replace X is a key factor that should tell us that something is deeply wrong with our current thinking, understanding of history, and understanding our current customer base. The FPing command offers substantial capability in polling multiple devices by polling asyncronously. 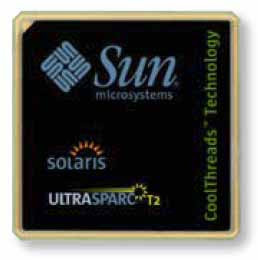 FPing is projected to be bundled with Solaris 11, a worthy tool to be added to the Solaris toolkit. There are a lot of command line options, which various manual pages & elp files hold incomplete or conflicting information. This document is an attempt to clarify the options. This version is currently installed via an SVR4 package from sunfreeware and can be downloaded under Solaris 10 here. A combination of selected command line arguments, total number of devices, and delay in the response from the devices can occasionally cause a crash of "fping" with the error "Arithmetic Exception". The individual maintaining the fping source code has not been responsive to requests for clarifications regarding the package he has been maintaining regarding various crashes which have been experienced with the package. After working on the crash issue for several weeks, it became necessary to clarify the command line options and publish a short blog on the experience. The command line options below were taken from the manual page for the Solaris packaged distribution and augmented with additional comments. Small fonts in parenthesis are original manual page entries, italics represent augmented description. -a Show systems that are alive. -A Display targets by address rather than (DNS name) operating system name resolution. -b n Number of bytes of ping data to send. 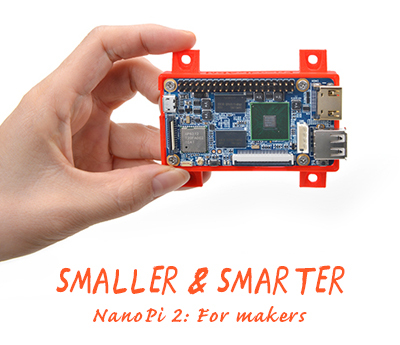 The minimum size (normally 12) allows room for the data that fping needs to do its work (sequence number, timestamp). The reported received data size includes the IP header (normally 20 bytes) and ICMP header (8 bytes), so the minimum total size is 40 bytes. Default is 56, as in ping. Maximum is the theoretical maximum IP datagram size (64K), though most systems limit this to a smaller, system-dependent number. -B n In the default mode, fping sends several requests to a target before giving up, waiting longer for a reply on each successive request. This parameter is the value by which the wait time is multiplied on each successive request; it must be entered as a floating-point number (x.y). This is referred to as an Exponential Backoff Factor. The default is 1.5. -c Number of request packets to send to each target. In this mode, a line is displayed for each received response (this can suppressed with -q or -Q). Also, statistics about responses for each target are displayed when all requests have been sent (or when interrupted). The default of 1.
shows the response time in milliseconds for each of the five requests, with the "-" indicating that no response was received to the fourth request. -d Use (DNS to lookup) operating system name resolution lookup on address of return ping packet. This allows you to give fping a list of IP addresses as input and print hostnames in the output. -e Show elapsed (round-trip) time of packets. % fping <>-g Generate a target list from a supplied IP netmask, or a starting and ending IP. Specify the netmask or start/end in the targets portion of the command line. -i n The minimum amount of time (in milliseconds) between sending a ping packet to any target (default is 25). This is the icmp packet sending interval. The poller will move linearly through the list of provided hosts or ip addresses, waiting this interval after sending a packet before sending a packet to the next host or ip in the list. For large quantity of nodes, this number may need to be reduced to avoid a crash with an "Arithmetic Exception" error. Some networks may drop packets if this is set too low. Maintainer web site manual page specifies the default value is 10. If this value is critical for your implementation, specify it. -l Loop sending packets to each target indefinitely. Can be interrupted with ctl-C; statistics about responses for each target are then displayed. May not die in looping mode if process reading STDOUT is closed abnormally. -m Send pings to each of a target host's multiple interfaces. -n Show target by operating system resolved name. Same as -d.
-p n In looping or counting modes (-l, -c, or -C), this parameter sets the time in milliseconds that fping waits between successive packets to an individual target. Useful in unreliable networks for spreading retry a distance from former attempt. For large quantity of nodes, increasing this number may help reduce instances of a crash with an "Arithmetic Exception" error. Default is 1000. -q Quiet. Don't show per-target results, just set final exit status. -Q n Like -q, but show summary results every n seconds. If this summary happens before all the devices can be polled, an "Arithmetic Exception" error may occur. This value may need to be increased, to aleviate this crashing symptom. -r n Retry limit (default 3). This is the number of times an attempt at pinging a target will be made, not including the first try. -s Print cumulative statistics upon exit. -t n Initial target timeout in milliseconds (default 500). In the default mode, this is the amount of time that fping waits for a response to its first request. Successive timeouts are multiplied by the backoff factor. -u Show targets that are unreachable. -v Print fping version information. There was a great article holding a short the history of Zones under Solaris 10 on a version by version release. The benefits to Zones are many, but a few include: zero cost, incredible density on a single OS instance (up to 4000), and virtually no overhead. Solaris Zones are an essential part of any cost effective data center when performance managed services for external customers. There was much discussion over the years over the discontinuance of Solaris Express distribution, the creation of OpenSolaris distribution, the discontinuance of OpenSolaris distribution, and ultimately the re-announcement of Solaris Express distribution. More information regarding Solaris Express has been leaked. It appears that there will be a release of Solaris Express referred next month or so, designated as Solaris 11 Express 2010.11! Mirrored layout across the children of a RAID-Z vdev to ensure latency sensitive metadata can be read in a single I/O. See bug 6977913 reference. Support for decompression, checksumming, and RAID-Z in "zdb" has been requested since 2008-Q4. See bug 6757444 reference. Performance has been improved for listing ZFS file systems. During 2003, a request was made to include encryption in ZFS, a welcome addition for laptops. The bug-id for this feature is 4854202. Solaris 11 is expected to power the new generation of embedded systems from Oracle including Exadata X2-8 database machine and Exalogic cloud-in-a-box! There is more than this in the next release to come, but this gives us a clear direction of where we are at and where we are going! Some ay no one was ever fired for buying IBM, but no government or business ever got trashed for buying SPARC. The United States Department of Energy bought an IBM POWER system with no upgrade path and no long term spare parts. The U.S. Depertmant of Energy purchased a petaflops-class hybrid blade supercomputer called the IBM "Roadrunner" that performed into the multi-petaflop range for nuclear simulations at the Los Alamos National Laboratory. It was based upon the IBM Blade platform. 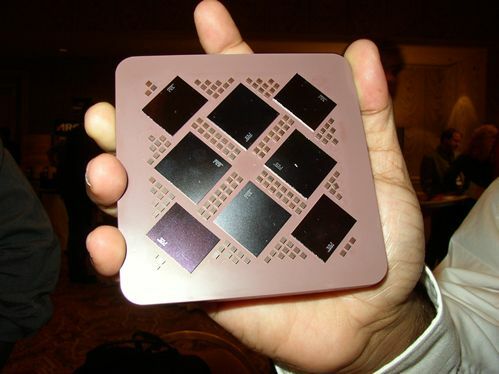 Blades were based upon an AMD Opteron and hybrid IBM POWER / IBM Cell architecture. A short article was published in October 2009 in The Register. A month later, the super computer was not mentioned at the SC09 Supercomputin Trade Show at Oregon, because IBM killed it. Apparently, it was killed off 18 months earlier - what a waste of American tax payer funding! In March 2010, it was published that IBM gave it's customers (i.e. 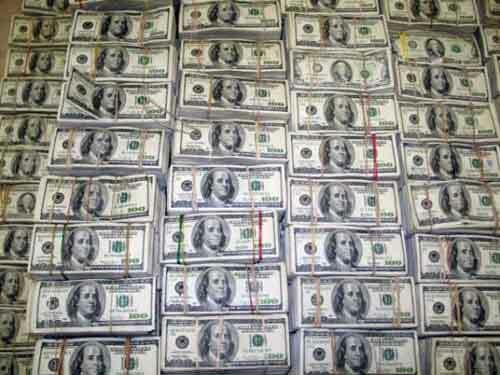 the U.S. Government) three months to buy spares, because future hybrid IBM POWER / Cell products were killed. Just a few months ago, IBM demonstrated their trustworthlessness with their existing Thin Client customers and partners by abandoning their thin client partnership and using the existing partner to help fund IBM's movement to a different future thin client partner! It looks like some remaining Democratic President Obama stimulus dollars will be used to buy a new super computer from Cray and cluster from SGI. 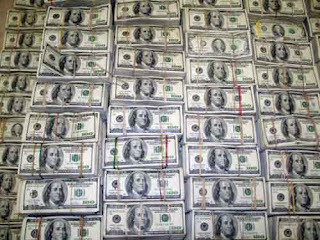 The mistake of buying IBM was so huge that it took a massive spending effort from the Federal Government to recover from losing money on proprietary POWER. If only the U.S. Government did not invest in IBM proprietary POWER, but had chosen an open CPU architecture like SPARC, which offers two hardware vendors: Oracle/Sun and Fujitsu. IBM POWER is not an open processor advocated by other systems vendor. Motorola abandoned the systems market for POWER from a processor production standpoint. Even Apple abandoned POWER on the desktop & server arena. One might suppose that when IBM kills a depended upon product, that one could always buy video game consoles and place them in you lights-out data center, but that is not what the Department of Energy opted for. Oracle/Sun has a reputation of providing support for systems a decade old, and if necessary, Open SPARC systems and even blades for other chassis can be (and are) built by other vendors(i.e. Themis built an Open SPARC blade for an IBM Blade chassis.) SPARC processors have been designed & produced by different processor and system vendors for over a decade and a half. 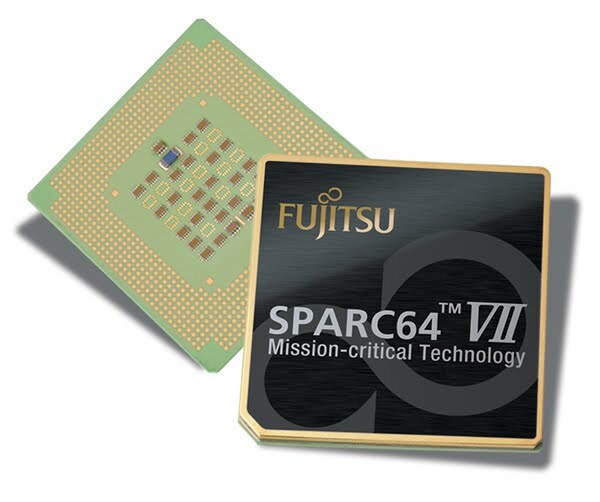 SPARC is a well proven long term investment in the market. If you need to build a Network Operation Center, build it upon the infrastructure the global telecommunications providers had trusted for over a decade: SPARC & Solaris. One will not find serious network management applications on IBM POWER, so don't bother wasting time looking. There are reasons for it. Abstract: Modern operating systems often have many commands at different layers in the software stack which are required in order to debug issues. DTrace changes this and provides a secure single interface to investigate nearly every layer in the software stack in a running production system, where developers can even create their own hooks for when they may need additional future insight. Another Linux root exploit found last decade, briefly closed for a few months, has finally been closed. The Linux kernel has been purged of a bug that gave root access to untrusted users – again. The vulnerability in a component of the operating system that translates values from 64 bits to 32 bits (and vice versa) was fixed once before – in 2007 with the release of version 2.6.22.7. But several months later, developers inadvertently rolled back the change, once again leaving the OS open to attacks that allow unprivileged users to gain full root access. There are a lot of production systems which have been compromised by this defect over the past half-decade. Let's hope that affected systems are not runnning mission critical systems in your managed services environment that connect to tens of thousands of customer devices in a Network Management environment. It means another hit on availability and taking down the systems for yet another upgrade. A short article from The Register delineates the concern for data centers. The vast majority of malware - more than 99 per cent - targets Windows PCs, according to a new survey by German anti-virus firm G-Data. G-Data reckons 99.4 per cent of all new malware of the first half of 2010 targeted Microsoft’s operating system. Some would suggest that this is not news, but an understanding of what is already known. With the increase of Windows viruses and worms up, the trend is expected to get much worse. G-Data reckons the rate of virus production in 1H10 is 50 per cent up from the same period last year. It predicts 2010 as a whole will witness two million malware samples. What is a Network Operation Center to do? Any reasonable Network Operation Center knows that exposing Microsoft Windows directly to other customer networks and directly to other supplier networks is an incredible security risk. There are ways to mitigate that risk. Deploying Microsoft Windows on customer and supplier facing networks is a risk that should be avoided when nearly all of the risk can be eliminated by deploying another operating system. If mission critical software has to run in a business, the software runs under Solaris. Gone is the old 90 day clause, inserted after Oracle bought Sun. If you are building, modeling, or testing Network Management applications, Solaris is a good Operating System to continue using! With being able to run Virtual Box with Solaris Crossbow, there is virtually nothing that you can not simulate when building, testing, and demonstrating Network Management Systems! There has been a lot of Fear, Uncertainty, and Doubt spewed around by marketing droids about the use of ZFS because of lawsuits filed between NetApp and Sun. Since the purchase of Sun by Oracle, this seems to have come to an end. Both NetApp and Oracle agreed to dismiss lawsuits and people can use open-source ZFS free and clear of legal wranglings. Performance management typically requires immense quantities of space that is needed to hold historical performance metrics of devices and communication links. ZFS is the best tool on the market to do this efficiently, cost effectively, and securely. 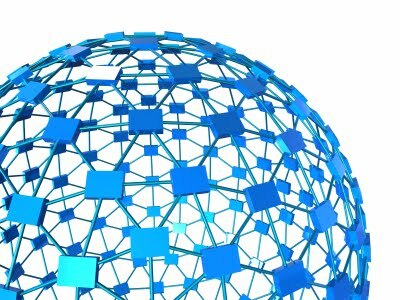 Now, there should be no inhibitions to making network management business run less expensively and more efficiently. Solaris 10 Update 9 Is Here! There are A LOT OF UPDATES in this latest version of Solaris 10, many of which will drive people to retrieve the free download! (Updated 2010-09-10) Oracle's John Fowler releases a video presentation on Update 9! Oracle released a Key Features & Benefits document in PDF format. A complete listing of features is located on sun docs web site or PDF version of the book. Joerg Moellenkamp blogged a summary of features. George Wilson describes some ZFS Logging Enhancements in video! Vendors will now be able to provide SPARC device drivers separate from regular releases. I personally wonder whether this will be beneficial to ISV communities to provide integration software on top of SPARC Solaris in the TelCo Market, so Network Management platforms can be delivered "on a disk" with minimal configuration. Upgrading zones by attaching them to an upgraded Global Zone gets better support: update a host in a cluster, move the zones to that new host, and run the "zoneadm attach -U" to update those zones which were newly attached to the global zone. Migration of a physical Solaris 10 machine into a Zone with support for the HostID in Update 9 will allow more network management platforms to be virtualized while still retaining their licensing features. For Network Management platforms not certified to run in Zones (there are a few system calls which are not available), then these updates will be of interest to you. People should avoid vendors which take business down this route because they refuse to support Zones. Some more tuning options, performance enhancements, and remote booting capabilities. Once again, great for Network Managment, especially deploying remote Solaris probes. The AES encryption engine in newer Intel processors is now supported, providing similar functionality in Intel Solaris to the crypto accelerator support traditionally only seen in the UltraSPARC T processor family under SPARC Solaris. Power Managment enhancement in select DRAM chips, RAID cards, and overall OS under the Intel architecture. This makes your network managment center cooler with Solaris. Enhancements for HP and Dell platforms for Intel Solaris. Additional gigabit ethernet card support. A variety of Infiniband enhancements. Fault Management Support for newer AMD processors. Newer versions of Firefox, Thunderbird, and other applications. Configure Network Management devices from older web browsers is often difficult, newer web browsers are ALWAYS welcome! Oracle SHOULD take the Solaris Web Client more seriously. A Web Browser is a SECURITY item, not a "freeware" item. Configuring thousands of remote devices from a Windows platform is a risk that a business should never take since Windows spyware could be capturing the information critical to securing a network infrastructure. Moving this type of work to Solaris infrastructure is MUCH safer alternative than using an MS Windows web browser. Download your latest version of Solaris 10 Update 9 today! 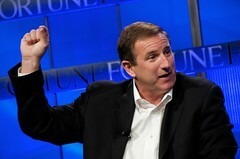 Mark Hurd, a former CEO of a unified NCR & Teradata, who later went on to the systems giant HP, has now returned to a company who has a unified Data Warehousing and Systems giant... but Oracle is also an Applications giant, as well. Hurd experienced an odd scandal at HP where he had an assistant who was formerly involved in not so savory movies. The accusations are not well disclosed. The sexual-harassment policy was not violated, but apparently HP's standards of business conduct were. Phillips apparently expressed his desire to depart from Oracle after a scandel of his own. Over 8 years, cheating on his wife, to be expressed in billboards across the United States. An adulterer spurned by an adulteress. Bringing a (possibly) strong systems CEO from HP to Sun could be good or bad for the Network Management arena. While at NCR, Hurd had presided over a company which resold Solaris and SPARC systems and briefly resold Intel Solaris. While at HP, Hurd's company had a relationship with Sun with reselling Solaris. That relationship was recently renewed. While Hurd presided over Teradata at NCR, a port of Teradata from 32 bit Intel NCR UNIX to 64 bit SPARC Solaris or 32 bit Intel Solaris was never realized as some speculated or hoped. SPARC RISC has traditionally been a strong player in the Telecommunications Industry, but HP has traditionally been a company to eliminate various competing RISC architectures internally. It will be most curious what changes happen at Oracle in regard to the Sun SPARC and Solaris acquisitions, considering the history of the new President. With Solaris and SPARC being the traditional core of real network management applications, the impact may or may not be significant.